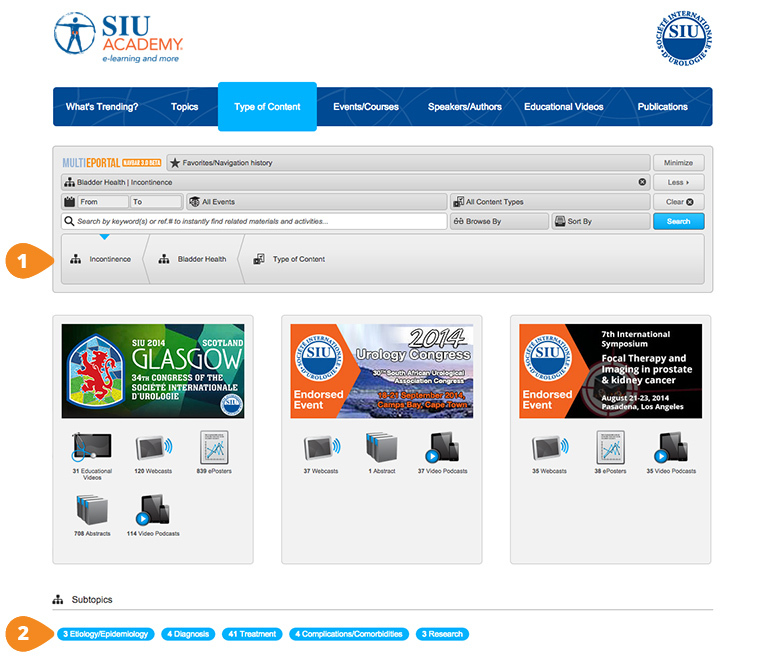 SIU Academy is a powerful digital cloud-based educational resource developed for urologists. The portal can be accessed anywhere in the world. All you need is an Internet connection and a computer or mobile device to access this rich library of educational material including webcasts, case studies, live surgery videos and publications, to name a few. As SIU’s official eLearning portal, SIU Academy will help promote global education and cooperation in urology. It will be especially impactful in developing countries, where its easy Web-access means that any urologists will be able to expand their knowledge and improve their skill-set. Welcome to SIU Academy, the official eLearning portal of the SIU. With rapid technological developments and the growing use of multimedia learning platforms, the SIU has embarked on this ambitious project to provide our members with an interesting, dynamic, and proactive educational tool with unique features. 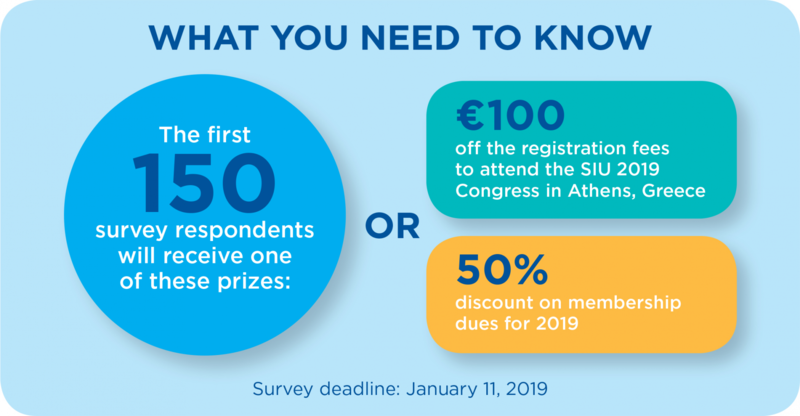 The SIU Academy provides state-of-the-art lectures, reviews and criticisms of the literature, case discussions with experts, meeting webcasts, and reports from the ICUD consultations, to mention only a few highlights. The portal also provides a platform to host videos, teaching modules and stream live surgeries. We also collaborate with other associations to make their meeting content available to our broad users. SIU Academy covers topics such as BPH/LUTS, prostate, bladder and kidney cancer, stone disease, incontinence, new technologies, and much more. 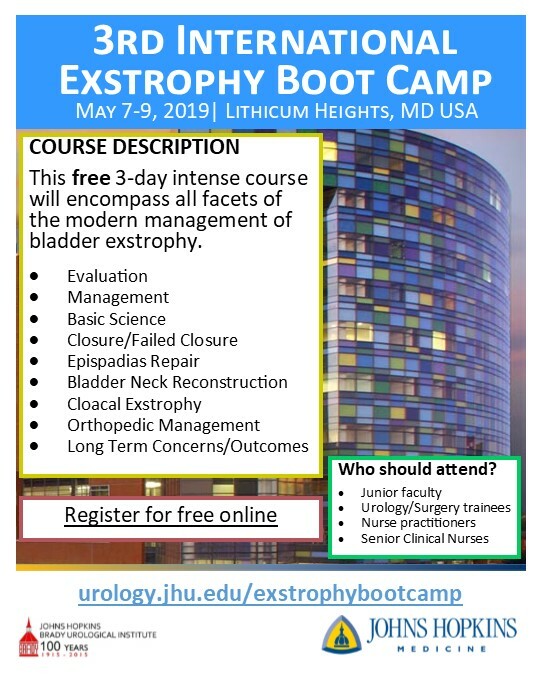 Additionally, the portal offers the opportunity for trainees and residents to continually expand their knowledge and skill sets by participating in specific accredited courses, viewing live surgeries, and viewing webcasts that feature groundbreaking news on the latest research outcomes and technologies for various urological conditions. Our online content can also be used to prepare for exams. The SIU Academy is the first of its kind in the urological educational field to offer features such as a powerful search algorithm that allows you to find, filter, and organize content to suit your needs. You can search by topic, author/speaker, event, keywords, or a combination of these fields to narrow down your search. To promote learning retention, interactivity is encouraged through features such as quizzes and notes, and some educational content even allows users to ask questions to authors or speakers. In addition, the SIU Academy reflects the international representation of SIU—offering worldwide content that brings in several unique perspectives that are relevant to each region. The best part about SIU Academy is that one can access the portal from any computer, or from a mobile device, so long as an Internet connection is available. This means you can study at your own pace, anywhere and anytime. 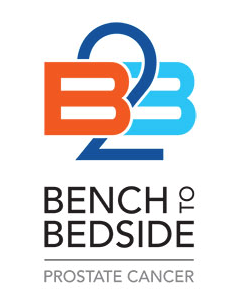 We are confident that this educational tool will provide urologists and trainees worldwide a means of broadening their skills through an easy-to-access, interactive and dynamic educational portal. We are continually updating our content and we would like to hear from you. Feel free to inform us of your specific educational needs. We will make sure these are included in the SIU Academy content.